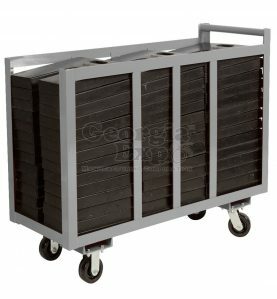 With the high cost of labor and the need to turn trade shows quickly Georgia Expo Storage Carts provide the winning edge. 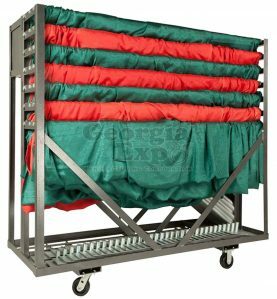 Each cart is designed to reduce set up time and protect your investment. 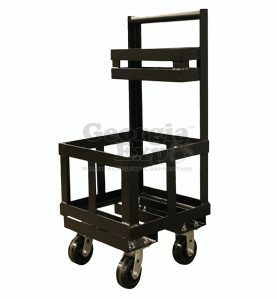 Made with rugged welded steel frames to provide years of dependable service. The casters are individually rated at 900 lbs. for a combined cart rating of at least 3600 lbs. 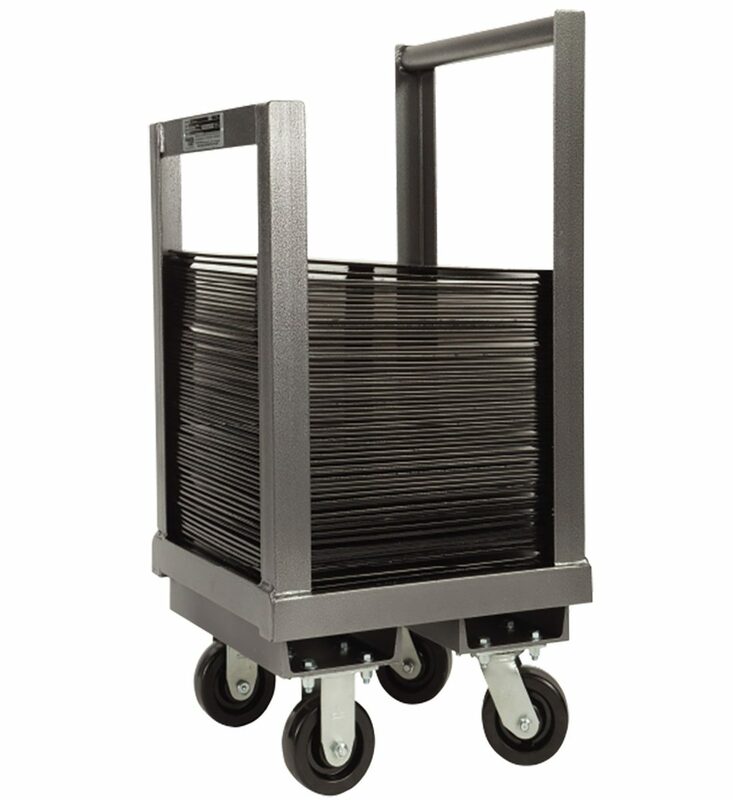 All Carts Ship Standard with Silver Vein Powder Coat. Additional Colors are available – – contact your Sales Representative for further details. 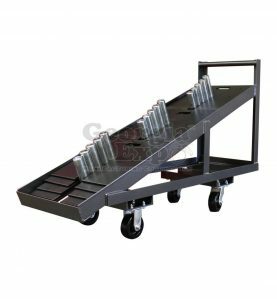 11″ Base Screw In Cart 4 rows with handle – this cart holds 100, 11″ Bases. It weights appx. 69lbs. 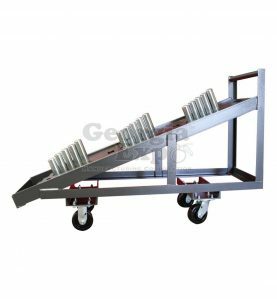 15″ Base Screw In Cart 2 rows with handle – this cart holds 50, 15″ Bases. It weights appx. 63lbs. 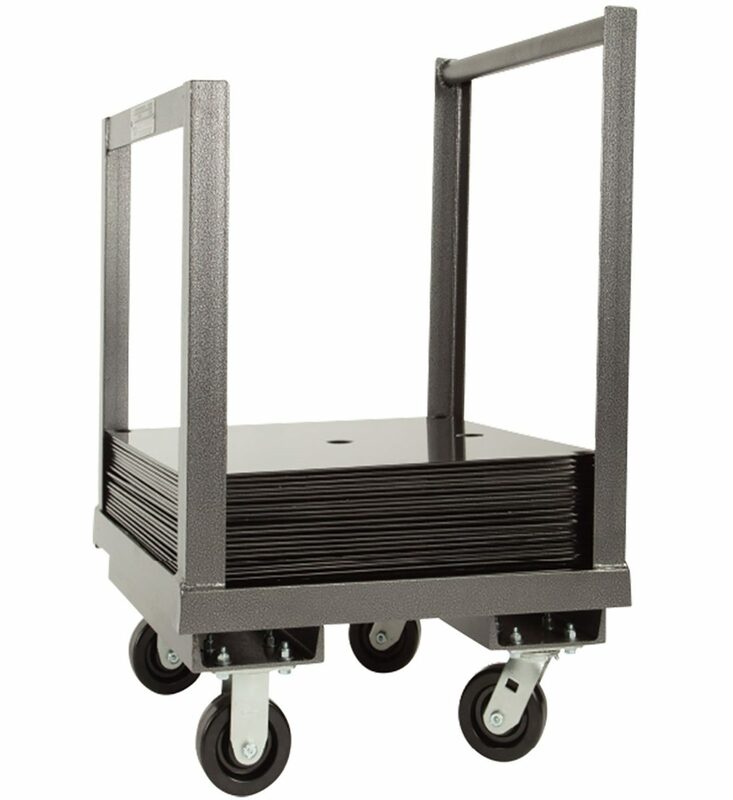 18″ Base Screw In Cart – this cart holds 100lbs of Bases. It weights appx. 52lbs. 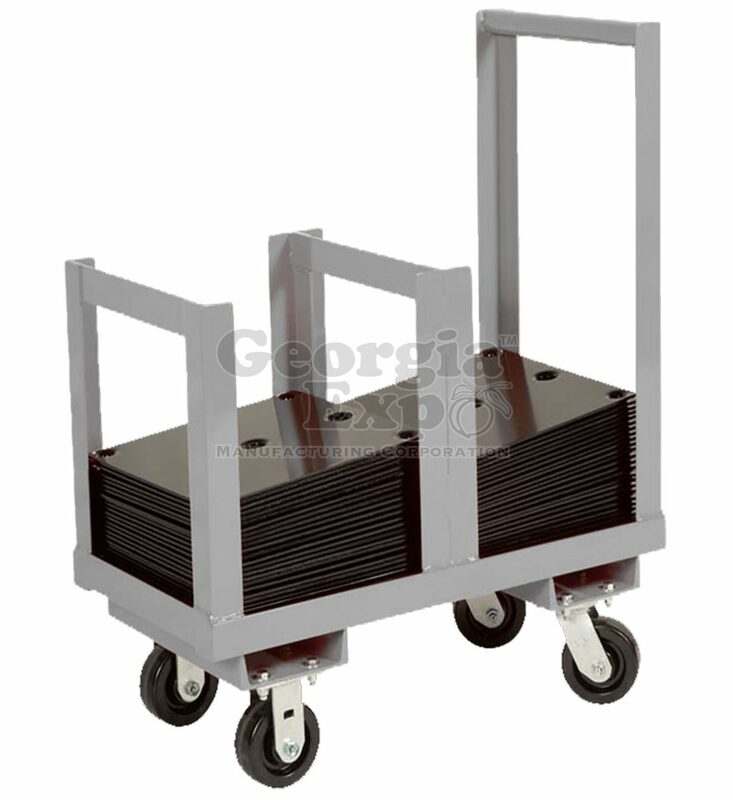 24″ Screw In Base Cart – this cart holds 1000lbs of Bases. It weights appx. 56lbs.